Few of us are fortunate enough to have a handmade quilt handed down through our family. In Quilt Love, Cassandra Ellis teaches her freeform design techniques, which rely in part on intuition and improvisation, to enable you to create a contemporary heirloom. Cassandra takes a refreshing, non-intimidating approach to quilting. She demonstrates how to use your eye and trust your instincts to gather together fabrics that remind you of a special time, person or occasion. This wonderful collection of 20 projects is presented in four chapters ‘ Big Events’ , ‘ Love’ , ‘ Friendship’ and ‘ Memories’ . In addition to full-size quilts that are true labours of love, there are simple designs that you can complete in a couple of hours, including cushions, framed artworks, a tote bag, a pet blanket and a simple curtain. It is also possible to improvise – patches from any of the designs can be sewn up to make a cushion cover, for example, or used as the building blocks for more elaborate designs. Piecing together patchwork and quilts is the perfect opportunity to recycle fabric and use up scraps to make something beautiful and significant. Cassandra shows how to incorporate fragments of fabric that have special meaning, using a piece that you love as the starting point and core of your design. This could be a cherished item of clothing, a tablecloth or curtain, a piece of embroidery, or specially chosen contemporary fabric that excites you – whatever you love the look of. Cassandra Ellis is a designer and maker of high-end quilts and homewares. Originally from New Zealand, she now runs her own London-based design studio where she teaches contemporary craft and interiors workshops. She also teaches at Charleston in East Sussex. 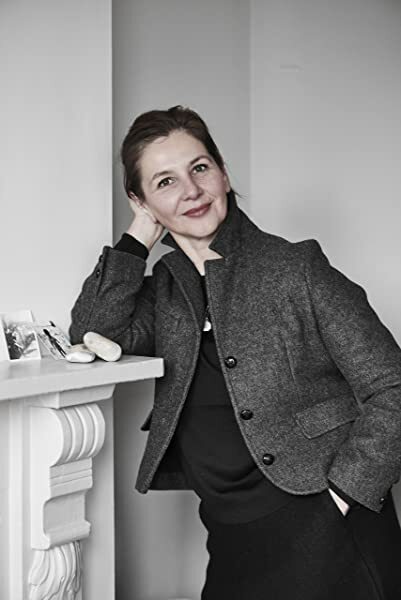 Her gorgeous designs are stocked by leading retailers, including Liberty of London, and she works directly with clients on commissions and interior design projects. Cassandra’s work has been featured in Elle Decoration, House & Garden, Easy Living and Red. Find her website at www.cassandraellis.co.uk. 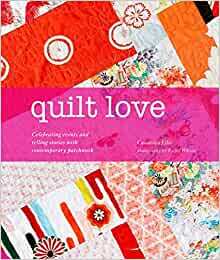 A really good book that demonstrates different types and styles of quilt and highlighted to me how much love we put into our pieces. There are quilts for every occasion and for every step in our lives. This book takes you on an emotional journey through patchwork and quilting. I also loved the fact that Cassandra Ellis has plans on how you can cut the pieces and put them together. Highly recommend this book. I really liked the look of this book, and when it arrived I was so glad that I had chosen to buy it. I found the stories alonside each design very encouraging, and very purposefull. With good explanation, this book is without doubt well worth buying. Lots of ideas that will inspire you, that will bring out your creativity. For all who 'stash' pieces of fabric that they can't bring themselves to get rid of, buy this book, and make something beautiful. Great condition and helpful for a novice quilter. Easy to understand. A fresh approach to quilting, beautiful book with great ideas and very inspirational. This has changed the way I approach sewing in general and quilting in particular. If you love quilting or, even if you are new to this craft, you will love this book. Full of gorgeous patterns and great ideas. A pleasure both to read and to be inspired by. Superb photography well produced, even if you are not a quilter it is just a real pleasure to handle and look at. If you are a quilter, it gets you thinking in new ways not just what goes with what. I love Cassandra's style of quilting, and this book is great. As well as design ideas she also shares really helpful advice for starting out and useful addresses.